Brian Riddals, born in 1926, remembers his first Regatta as 1934 – and every one since. “I’ve not missed a regatta my whole life,” he said. “I remember the fair on the New Ground – which is now Mayors Avenue car park, but was then just covered in dust and ashes. At one end you could see the Sam McCohen marquee, which housed boxing. Sam brought with him some great fighters and locals could challenge them to fights. Brian said the biggest difference between his first few regattas and now was the mix of locals to visitors. “People couldn’t travel then,” he said. 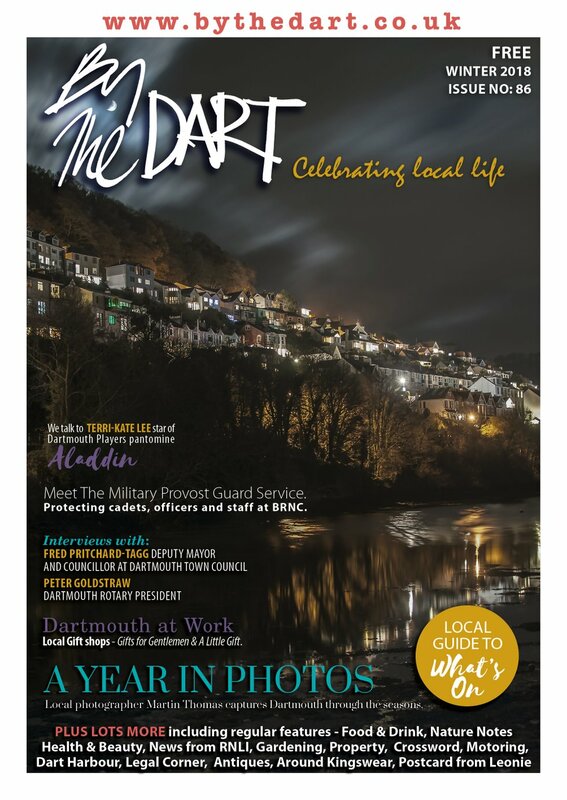 “Dartmouth was an isolated place when few people owned a car and public transport was very slow. My grandmother never left Devon in her entire life. It was an event for locals and it was the highlight of the year for everyone. The rowing on a Thursday was a big draw – people lined the Embankment for the skiffs race at 3pm on the Thursday and would scream for the Dartmouth teams, “Go the Lilywhites!’ There were fireworks on Thursday, Friday and Saturday then – but because they were much simpler, if it rained they would let them off at 7pm rather than let them become damp squibs! “I used to miss many of the competitions because I was working on the river, but I would take part in the swimming and the water polo if the tides meant they were held in the Boatfloat in the evening. Water polo was a wonderful competition. I remember one locals team: Bob ‘Tiny’ Sanders, who was about 18 stone, Gordon ‘Tacker’ Waldren, who weighed in at 16 stone, Stan ‘Bubbly’ Holmes, Sam Partridge and Austin Drake. “My first regatta was when I was about 18 or 19. I recall renting a small cottage with my family and my friend Joe. We bought a huge lobster and cooked it at the cottage and I sailed a race on a Westerly Storm 33! I loved it. I still walk around Dartmouth looking for the cottage – I thought I knew where it was but now I’m not sure! “I recall my first regatta quite vividly. It was 1974 and I was working at 9, The Quay, so I couldn’t get to see many of the events but I do recall the Thursday afternoon. I looked out across the Boatfloat and saw crowds massing on the Embankment so I had to go and have a look to see what was happening. The crowd was five deep but I managed to get a view as the crews in the Men’s Senior Fours came by with the white shirts of Dartmouth in a prominent position. I was hooked. The following year (1975), George Ball, the Regatta Treasurer at that time, invited me onto the committee and now almost forty years later I’m still involved. 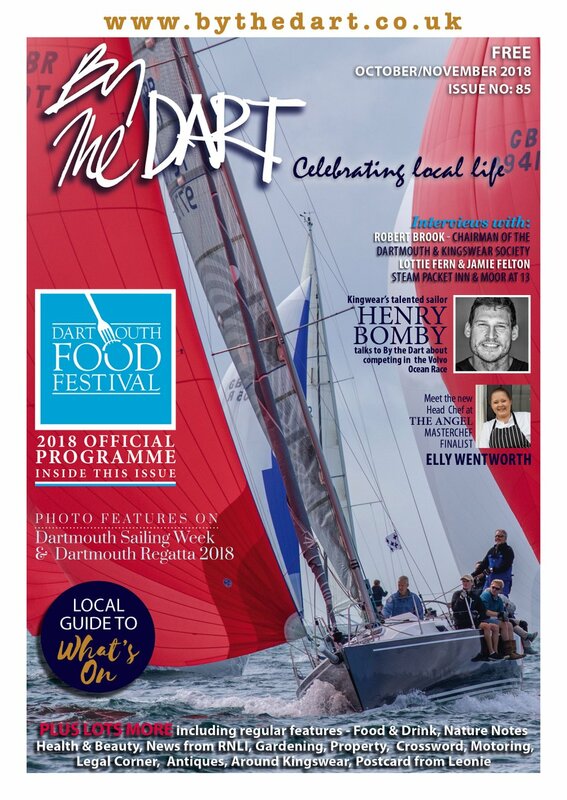 Our Royal Regatta is an outstanding extravaganza with something for everyone and pervades an extraordinary happy atmosphere which adds to the enjoyment of the event. It’s a time for locals and visitors to join together in an exciting stream of competition and entertainment. “My first Regatta was in 1968, I was three, we had moved to Kingswear from Bournemouth and it has happy childhood memories. “I get real pleasure, working with a dedicated team, who are devoted to keeping our Regatta the best in the west. I have many happy memories of past and present Committee members and the times we had. “I have been on the Committee for nearly 30 years. Hilary Bastone was about in those times as well, I don’t think there are many who have worked harder than him for Regatta. “As the Guard ship sails into the river, the hairs on the back of your neck stand up with pride. We are lucky again to welcome HMS Blythe to this year’s Regatta and the air displays over the river valley. “It continues to be successful because although it has a long proud tradition, it moves with the times. 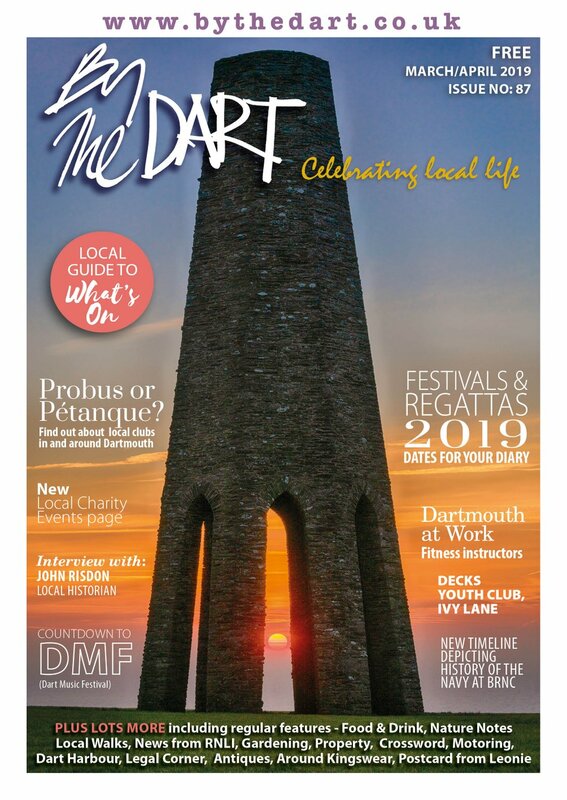 It is a time of friendly competition and Dartmouth letting its hair down for one week a year. “So many memories stick with me. The cheap jacks on the Embankment with their array of stalls selling everything from towels to china, the fireworks around the Boat Float, The Vancouver boys Brigade Band, the magical Chinese lanterns and glass light candles in Royal Avenue Gardens, the boxing booths in the fair. “My first Regatta was 1973. My Ship, HMS Lincoln, was sent as Guardship and we anchored as usual in the middle with floodlights deployed and - hopefully - looking very smart. “Ship’s Company entered many events and we borrowed various boats from Britannia Royal Naval College. I drove a 25 ft Motor Cutter as combined safety boat and spectator vessel (no H & S in those days!). “On the evening before the official opening was the Regatta Ball which was held in the Guildhall. Officers were invited to a fairly stiff reception in the Mayor’s Parlour. The dance commenced then with ladies sitting primly around the wall and a Military Band (probably the Devon and Dorsets) in the centre area whilst we (as VIP Guests!) sat on the stage. Not a lot of excitement until the Ship’s Company arrived (gatecrashed!) in uniform having sampled many pubs first. All the ladies then found themselves dancing! Eventually, after a sticky start it became a great evening! Carol had come down from Bath to join me for the day/night. “The rest of the Regatta passed off well with Lincoln joining in Whaler Races and just about anything that we could do. Many sailors and officers were invited to help crew dinghies and yachts with the inevitable parties afterwards and, as I remember it, the weather was particularly kind throughout.